If the answer to everything were truly brownies like I said in my last post, then I would be one happy girl. If baking could solve all of my problems, I wouldn’t have a worry in the world. If everyone could be won over with a treat from the oven, I would have people begging me to ask them for a favour just so that I could repay them in baked goods. I was thinking about this last weekend as I looked for an apartment to rent. They say that if you’re trying to sell your home, you should put a batch of chocolate chip cookies in the oven before an open house because it will make the place smell like home for potential buyers, but what about doing things the other way around? What if I showed up on the doorstep of a potential apartment, bearing a tin of homemade cookies or perhaps a puffed plum tart? Could I get a reduced rate? Would they love me so much that I wouldn’t have to pay rent? Maybe utilities could get added into the rental fee at no extra charge? How about some free cable TV and high speed internet? A weekly maid? A dish washing pony? Something? Anything? Throw me a bone here people. Sadly, none of those things were offered to me. Instead, I arrived at one apartment to meet with a potential roommate, only to be told by the smart friend I took with me that they would never come visit me if I rented this place because the potential roommate was the creepiest person they had ever met in their lives. I agreed and left that place without thinking about it twice. Another apartment that I went to see looked promising from website pictures, but unbeknownst to me, the pictures were from a different apartment owned by the same landlord. What was supposed to be a spacious, recently renovated bachelor, turned out to be a fourth floor walk up with stairs so narrow it seemed like I would have to learn to live with inflatable furniture. As if that wasn’t bad enough, the shower was suitable only for people under the height of four feet as the walls were dangerously slanted and the oven looked like a 1940’s relic that belonged in a museum. I scampered back down those stairs as fast as I could safely do so, but not before the landlord politely asked me to change a lightbulb for her, as she was probably one of the few people who could comfortably shower in that bathroom. Ah, the joys of apartment hunting… I’d rather be baking. What better reason to bake than for Hay Hay it’s Donna Day? Sarini of Trini Gourmet has chosen Tarts as this month’s theme for HHDD#15, which was originally started by Barbara of Winos and Foodies. Tarts were actually the theme of the first Donna Hay event that I participated in, way back in September of last year. Not only was it my first Donna Hay, but it was my first blogging event as well. I made a Shrimp and Scallop Tart, it was my own creation and I was really happy with the way it turned out. That reminds me, I should make that again. But I digress, the difference between this tart theme and the last one is that it was restricted to savoury tarts, whereas this time any kind of tart is permitted, be it sweet, savoury or some combination thereof. My contribution to this round of HHDD is a Puffed Plum Tart by, (who else?) Dorie Greenspan and like all of Dorie’s recipes it turned out wonderfully. It’s also super easy to make since the base is made with store bought puff pastry. Dorie’s recipe calls for both dried and fresh plums, but since I had a very large basket of fresh plums straight from my Grandma’s plum tree and no dried plums, it was made entirely with fresh. If you also have a basket of fresh plums and are so inclined to make this tart, it’s on page #378 of Baking From My Home to Yours. If you don’t already own this baking bible, I’m going to tell you tomorrow how to win yourself an autographed copy, you certainly won’t want to miss that. 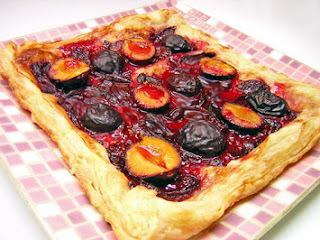 Posted by Brilynn at 11:28 p.m.
That plum tart looks scrumptious! If I had an apartment to let, it would be yours! me too, if I had an apartment to lend, I would exchange it for baked goodies. good luck on your apartment hunting! Wouldn't it be loverly! It would indeed Brilynn. Moving is such a challenge and an adventure like no other. 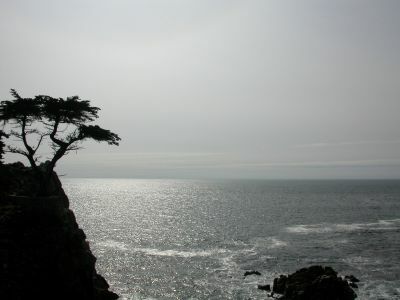 Soon I hope just the perfect place finds you! AH Bri, if only apartment hunting was as much fun as baking. Having just gone through the whole apartment hunting torture, even if you can't find a place to rent in exchange for the baking, the baking will keep you sane while you look!! Good luck and the tart is so yummy looking. Yes, apartment hunting is a pain in the rear. 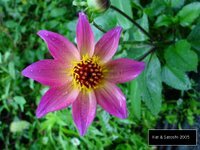 The good ones are usually so expensive and if the rents are low, they're usually too good to be true as you will soon find out. Hey, at least you baked such a lovely tart! Good luck with the apartment hunt! Do you think that if I mailed one of these to the mortgage company that they would except it for my payment??? Hmmmm, if I was the mortgage company, I would! If I could pay for services in baked goods then it really would give me an excuse to be baking all day long! 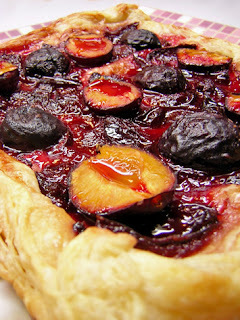 I love the colors in your plum tart, just so delicious looking! I love the idea of trading baking for rent ... if only that could be! 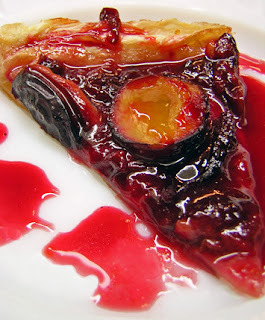 Meanwhile I have all of the ingredients for this delicious plum tart, so off to the kitchen I go. Sorry you are having such a hard time finding a place! You can rent from me anytime! Just keep the tarts coming!!! Oh, the "joys" of apartment hunting. I think that you should get a month rent-free for that tart! Apartment hunting sounds frustrating, exhausting, and annoying. I think you need an apartment over a bakery where you can put in some hours every week in exchange for rent. Good plan? If they need references, just have them call me. That looks good. It reminds me that plum season is quickly slipping away and I have not done much with them yet. Fab tart by the way and good luck finding a new place! Oooh that looks wonderful:). Thanks for joining in at HHDD.